Any chance of creating a font to match these? It wasn't finding the named positions. Dug around and got it addressed. Thanks! Having an issue with tweening between positions. The example in the documentation doesn't seem to work. Agree that that not having an aiming shot makes the flying enemies way more difficult that they need to be. However, I love how punchy the shooting animation is! RenJS community · Posted in Suggestion for highlighting already selected choices? Brilliant. I'll see if I can merge thins into my current build. Side-Note: How do I send you a steam key for the current project? I think within the same runs would be ideal. RenJS community · Created a new topic Suggestion for highlighting already selected choices? 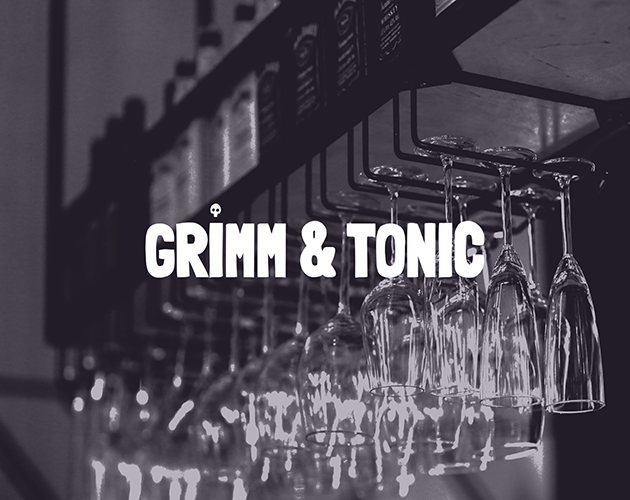 itch.io Community » Game Development » Release Announcements · Created a new topic Grimm & Tonic - To Drink or Not To Drink? Learn more about the residents of New Eden City and yourself in this Noir, Urban, Fantasy Visual Novel. I've updated the description to address most of them. As it relates to romance able options. There may be a few down the line but the writing isn't set in stone. This closer to a friendsim than a dating game. Any direction and/or plans in place for integrating random number generation? This is a weekly web visual novel, that follows the residents of the fictional city of New Eden. New scenes released every Friday. In this VN, you wake up one evening to find Death sitting on your sofa. Broke, friendless and apparently soul-less, He offers you a temporary job at the premiere, local, shady hole-in-the-wall, DEAD-END. Maintaining a healthy Work-Life balance is pretty tricky on a good day but it’s damn near impossible when your boss threatens foreclosure on your mortal existence. As the new bartender at DEAD-END, you’ll make new friends, mix weird drinks, all while navigating Life, Death and everything in between. Yep. Looking forward to any comments anyone may have: Pacing. Ideas/Suggestions. Both Positive and Negative criticisms. 2) Any engine you choose is permissible. Even one you've built yourself. What's important is that its clearly an 'engine' and not a 'prototype' or unfinished game. 3) Under this theme all genres are permissible.. Only limitation on content would be no offensive content.